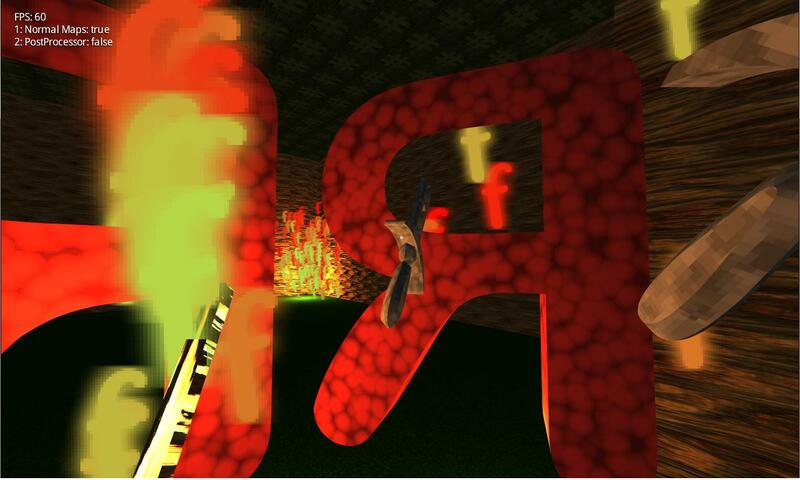 EtRD is a fully 3D roguelike with it's graphics based on its ascii ancestors. Rather than focusing on creating expensive and complex graphics it will instead focus on a stylised graphics style and compelling gameplay. The game runs in real time (not turn-based) and is completely in first person. The levels and enemies will be procedurally generated and therefore the game will contain permadeath. A unique feature of the game is an extensive crafting system. All enemies will drop components (rather than equipment) when they are killed which can be used to craft items. You will obtain recipes throughout the game that describe the shape of an item, made up of a series of slots. In these slots any component can be placed. For example, a sword is made from a hilt, a blade core and a blade edge. In each of these 3 slots you can place any component (for example, stone as the hilt or fur as the blade edge) and the resulting item's stats will be based on the properties of the components used. This should hopefully make the crafting system much more interesting. The intention is to created a system for crafting spells. The intention is to create a system for dynamically generating a story. The game uses a distinctive 3D ascii style, where all the game graphics are created from ascii characters. 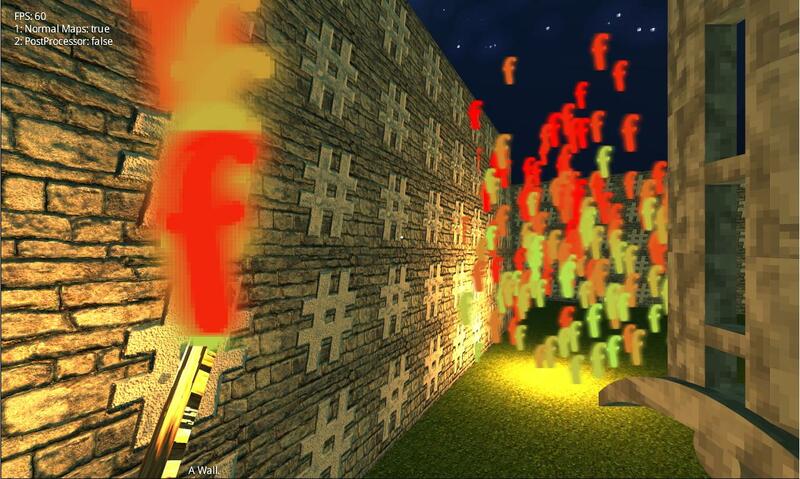 For example a fire is a particle effect formed from many f's. This page was last modified on 27 February 2013, at 12:01.